WordPress custom fields (post meta keys) can be used to store key value pairs for a post. This can be very useful to store code related to that post. This way it can be used by other pages also. 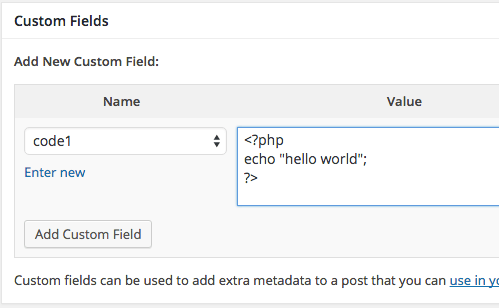 Here are steps to use WordPress post custom field for storing and displaying code snippet.